Heroin is one of the most dangerous and addictive drugs. Overcoming an addiction to heroin is very difficult to achieve alone, which is why getting help is essential. There are several heroin treatment options available. It is important to discuss your options with your GP, or contact a helpline for support. If you or someone you know is struggling with a heroin addiction, call us today and speak to one our trained addiction counsellors who can guide you the next steps to get you the help you need! Heroin addiction is a devastating disease that often requires professional help to treat. As this addiction can be dangerous, it’s essential to take action as soon as possible to prevent potentially deadly consequences. Whether you or a loved one are suffering from heroin addiction, seeking rehab and treatment is the first step to recovery. Drug addiction treatment centres provide inpatient or outpatient rehab, as well as other forms of specialised treatment that can be tailored to suit your individual needs. Heroin addiction rehab and treatment usually involves medication, therapy, lifestyle changes and support groups. A range of relevant treatment options is available at both inpatient and outpatient recovery centres. If you’re in need of help, a professional treatment centre offers the best chance of successful recovery from the physical and psychological symptoms of heroin withdrawal. If you’ve been abusing heroin, its inherent dangers might seem unfamiliar, because the drug makes you feel better. However, after the initial ‘high’ wears off, you will likely experience a ‘crash’ and seek more illicit drugs to regain the initial feeling. Unfortunately, due to how addictive heroin is, you might be unable to quit, which is why professional help may be required. According to the National Institute on Drug Abuse (NIDA), heroin addiction can cause several issues, including physical dependence; respiratory problems like pneumonia and tuberculosis; liver or kidney disease; decreased heart rate; drowsiness, gastrointestinal problems such as nausea and vomiting; infections from needle use; and even death. You can avoid all these dangers with professional help. Detoxification (or ‘detox’) is the first step of treatment, whereby heroin is gradually expelled from your system. It is a physically and psychologically challenging process, but a medically supervised setting can provide all the support you’ll need. Detoxing at a drug rehabilitation facility is the safest option for your mental and physical health – especially as it offers a higher rate of success than other alternatives. You’ll be carefully monitored throughout the entire detox process and if additional steps are required (such as medications or dual diagnosis treatment), they will be provided accordingly. A professional team of physicians, nurses and other health care providers will monitor your condition and administer the necessary medications to control pain and cravings. Whether you’re seeking inpatient or outpatient treatment for heroin addiction, some of the options used to aid recovery include medication; behaviour counselling; evaluation and treatment of depression, anxiety or other co-occurring mental health issues; and long-term follow-up to prevent relapse. A range of care involving a tailored treatment programme and follow-up treatment (such as family-based or community recovery support systems) can be crucial to success. Many such treatment settings – including inpatient and outpatient programmes – offer comprehensive heroin rehab programmes. A detox programme is generally provided at the beginning of treatment, after which you’ll receive a combination of therapeutic interventions, aimed at rectifying drug-using behaviours and preventing relapse. These may include individual therapy, group counselling, peer support groups and family therapy. Choosing the best heroin treatment or rehab can be an overwhelming decision, as there are a number of options in the UK to consider. Some treatment or rehab centres will be more suited to your needs than those of others. Drug treatment facilities aren’t created equal, so it’s necessary to carry out extensive research beforehand. Many rehab centres make use of similar treatment methods, but with variances in style and the manner in which they are delivered to suit your needs. There are different criteria to examine when choosing the best heroin rehab centre to begin treatment. First and foremost, you’ll only want to receive treatment at a licenced and accredited facility. This means checking with the local authority to ensure your preferred rehab centre meets the required accreditation guidelines. You’ll also need to choose a treatment or rehab facility which adopts treatment protocols that you’re comfortable with in terms of affiliations to religious groups, eating plans and other activities. Aftercare is also an essential aspect of treatment, so you should make enquiries about your options early on. Given the severe and persistent nature of heroin addiction and its many consequences on the individual, inpatient treatment rehab is commonly recommended. Heroin is highly addictive, both physically and mentally. If you’re attempting to quit, you could experience a withdrawal period that’s both intense and uncomfortable. Inpatient heroin rehab includes round-the-clock medical supervision and treatment to ensure your safety and minimise relapse. Qualified residential treatment is, therefore, effective – especially when you’re dealing with a severe addiction to co-occurring disorders. A variety of therapeutic approaches can be provided at residential treatment facilities in order to ensure you live a drug-free lifestyle after completing treatment. Not everyone who takes heroin will require inpatient rehab and treatment in order to quit. 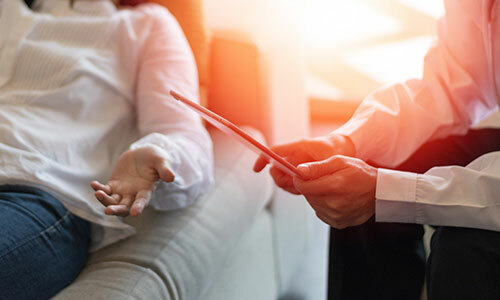 The option of outpatient treatment is also available for patients, whereby they can visit an addiction treatment specialist or counsellor on a regular schedule. Most of the treatment programmes involve group or individual drug counselling (or both). At first, treatment may be intensive and you’ll need to attend several outpatient sessions per week. After intensive treatment is complete, you can transition to regular outpatient rehab, with less frequent meetings for fewer hours, aimed at sustaining your recovery. The programmes provided in outpatient rehab differ in levels of intensity and (to some extent) can be customised to suit your individual needs. How much does heroin rehab cost? Location: the cost of treatment will vary, based on the location of the facility. Rehab centres in areas with higher living standards are generally more expensive. Type of rehab: There is a significant difference in treatment costs for inpatient and outpatient rehab for heroin addiction. Inpatient rehab will cost more, because of the intensive care, 24-hour supervision, accommodation and medications included in treatment. Length of stay: the cost of heroin rehab can also depend on how long you’re staying at the facility and undergoing treatment. Types of treatment provided: medication assistance is commonly required during heroin detox, because of the intense withdrawal symptoms that can occur. Heroin rehab costs will, therefore, take into account the expense of medications to prevent or control symptoms. Treatment such as professional counselling and other therapy forms are also included in the cost. Amenities: when it comes to the cost of rehab, more amenities means a higher price tag. Standard amenities provided in rehab include medication, therapy and detox. Meanwhile, additional offerings may include swimming pools, massages, tennis courts, gourmet meals, laundry services and acupuncture. If you’re ready to beat heroin addiction for good, entering a qualified heroin treatment facility is a wise choice. Experienced and qualified medical professionals will provide close supervision throughout the treatment process to help you cope with the withdrawal period and ensure your safety, during and after detox. To begin the journey to recovery and defeat heroin addiction, seek professional help today. An addiction specialist can speak with you and provide answers to any questions you may have regarding heroin rehab and treatment for addiction. They can also help you find your nearest facility and a programme that best suits your needs and budget. You don’t have to live with the painful effects of heroin addiction and withdrawal, so make the call today to find the best rehab facility. 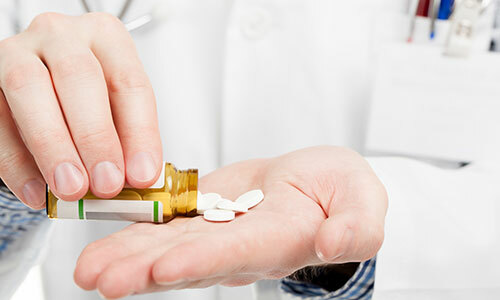 Generally, medication is introduced at the first stage of treatment to manage the physical effects of withdrawal. However, this first stage of heroin rehabilitation – detox – is not considered to be treated, but merely one component of a comprehensive recovery plan. Healthcare professionals will assess your needs for medication during detox and going forward. In addition to controlling and minimising withdrawal symptoms, there are other uses for medication in heroin rehabilitation. Medication can be administered to help you cope with intense cravings and to achieve long-term abstinence. In addition, medication can also be applied to treat depression, anxiety and any other co-occurring conditions, as well as to manage issues that are significant to the prolonged recovery. Some medications commonly used in heroin addiction treatment include Clonidine, Methadone, Buprenorphine and Naltrexone. This involves providing information about yourself and your specific situation so that the rehab staff can tailor a plan suited to your needs. The assessment may include a medical and psychiatric exam, in addition to an evaluation of your home situation, to form a comprehensive overview of your addiction. The interview and assessment stage will also help to determine if you need a medical detox. If required, the rehab centre will admit you to a special medical facility to undergo safe and supervised heroin withdrawal. The length of detox can take a few days or longer, depending on your history of abuse. Counselling can be provided on a daily basis. 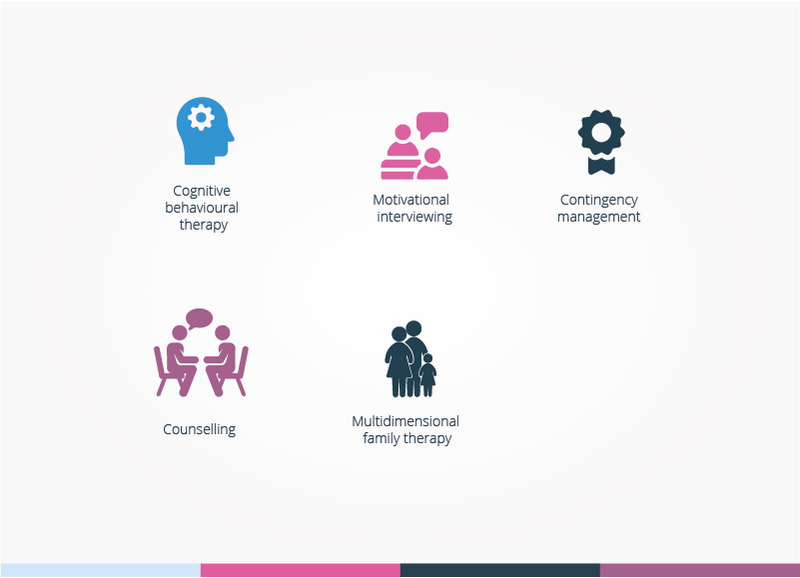 A range of possible counselling modalities that can be provided includes individual or group therapy sessions, Cognitive Behavioural Therapy, hypnotherapy, EMDR, and so on. Continuing care or aftercare is provided for weeks or months after treatment has been completed. This will help you transition smoothly out of rehab and also contribute to your long-term recovery. At UKAT, our patients are seen as more than just a combination of heroin addicts. We treat patients as unique individuals (each with their own with strengths and abilities), who are facing substance abuse challenges. Our focus is on getting to know you and your strengths so that we can utilise them to help you recover safely and completely from heroin addiction. The most important thing you’ll need when struggling with an addiction problem is a safe and supportive environment, which is exactly what we provide for you. In addition, we ensure you can access care that’s delivered with a personal touch in an intimate setting, which feels like home. Our treatments truly focus on your individual issues and concerns, because our programmes are flexible and can adequately meet your individual needs. If you feel that you’re in crisis or need help for a loved one, our professionals can provide all the assistance you need. While medical detox is a popular and widely preferred treatment option, it might not be suitable for everyone. Another treatment model that’s proven to be effective for heroin addiction is behavioural therapy. This form of treatment can also be used in tandem with other methods to help you discover coping skills that will prove useful during the recovery period. Rehab facilities also employ group therapy to create a non-judgmental environment, where you can freely talk about your experiences and challenges with addiction and your journey to abstinence. Supportive relationships are another benefit of group therapy for patients, as they can also contribute to long-term abstinence. If you genuinely want to ‘get clean’ and avoid relapse, heroin addiction treatment offers several stages, designed to provide care, support and guidance. Medically supervised detox: this involves continuous monitoring and access to medications, as needed. Individual and group counselling: these will help you learn healthier coping methods, as you come to terms with your addiction. Treatment can also include holistic remedies like yoga and acupuncture. Support group meetings: these provide an engaged peer environment with other addicts in recovery, with whom you can grow together. Comprehensive aftercare programmes: to help you remain abstinent, even after you leave a residential treatment programme. After completing an inpatient heroin rehab programme, you’ll likely return to your former drug-using environment and have to face several triggers that could lead to relapse. You may be surrounded by drug-using friends, suppliers, drug-related apparatus or even face old drug-related hobbies. Some of these potential triggers can be prevented or avoided, but several of them are inevitable. By understanding your triggers and having a plan in place – even before you leave rehab – you can better guard yourself against relapse. There are several drug-free activities that you can engage in whilst recovering to engage yourself psychological and socially. Life after heroin rehab can be easier when taking on board hobbies such as playing sports, taking dance lessons, going to the movies, taking a class, learning to play an instrument, learning a new language, volunteering, playing video games, or attending conventions. Relapse after rehab and treatment is quite common when you’re recovering from drug addiction. While it can cause feelings of frustration and disappointment, it’s crucial to pick yourself up and continue with your new drug-free life. Your next step should be to surround yourself with positive people. So, get in touch with a counsellor, therapist, sponsor or a trusted friend as soon as you can. Ongoing success is possible when you have easy access to a supportive shoulder to lean on in difficult times – just as you likely had during residential rehab. This type of support – provided via a formal aftercare programme or an informal arrangement with a sponsor – can go a long way toward helping you overcome relapse and enjoy a more active recovery. After completing an inpatient programme, when you’re completely stabilised, discharge planners in the facility will work with you to develop a suitable aftercare plan; this will provide you with ongoing care after rehabilitation. If you’ll be returning home, they will provide you with referrals for addiction recovery counsellors and other community resources, so that you can sustain your abstinence. It’s essential to continue meetings and counselling sessions after rehab, because heroin has long-lasting effects on the brain’s reward system, long after the drug has been removed from the body. Stress and other triggers can cause a relapse, but aftercare can alleviate the most significant dangers. During rehab, you will probably be required to undergo detox in order to flush out the remaining toxins from your system. This is usually followed by therapy and other methods of treatment, aimed at helping you achieve recovery. The length of rehab depends on several factors, including how long you’ve used heroin and how much of the substance is in your system. What factors affect the cost of heroin rehab? The cost of heroin rehab usually depends on the location of the facility, length of treatment, amenities provided and type of treatments provided, amongst other factors. Rehab is almost always necessary when you’re struggling with long-term abuse and addiction to heroin and other mind-altering substances. The most common signs of addiction include anxiety, irritability, depression, cravings and loss of self-control. The main causes of addiction are unknown, but how your body reacts to the presence of certain addictive substances can eventually lead to addiction. If you regularly use drugs and have difficulty staying away from them for a period of time, you could be addicted. How do I know when someone needs help? Your loved one may need help if they’re showing different warning signs of addiction or if you find drug apparatus in their possession. The most effective way is to try to make them realise that they need help. Qualified addiction interventionists can also help you achieve this.